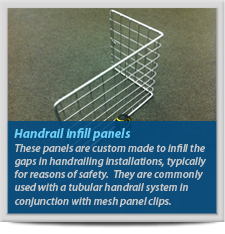 These are typically used to attach framed infill panels to a tubular handrail system. 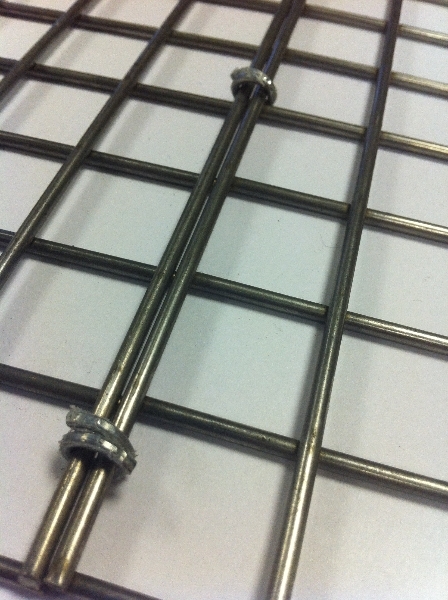 The large loop goes around the post / rail and there is either one or two ‘slings’ that attach the mesh. 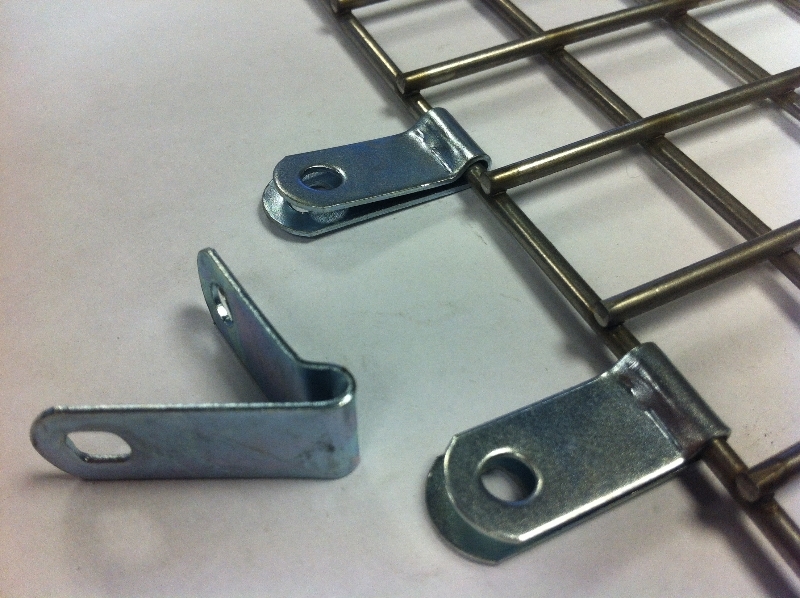 These components are slotted to give a degree of adjustability on-site. 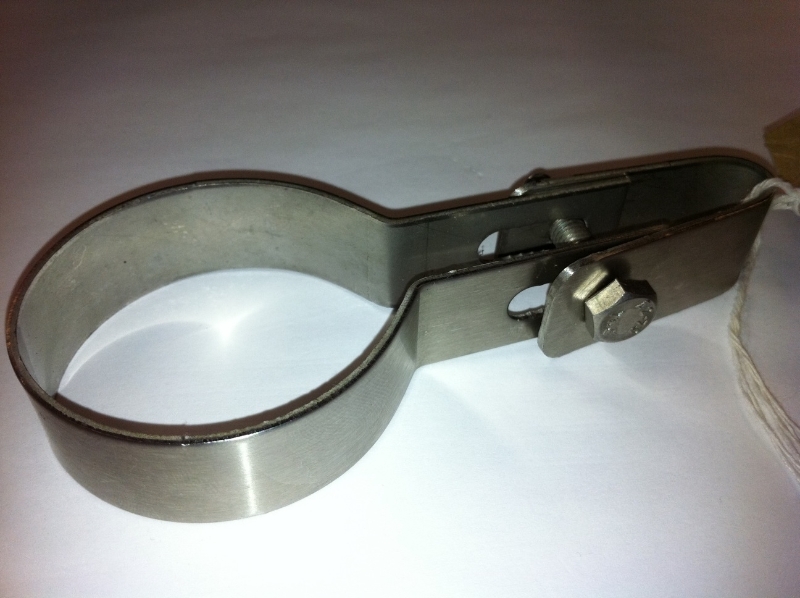 Bright zinc plated clips that provide a neater and more stable solution than the use of large washers. 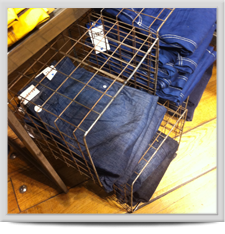 These wrap around the wire of the mesh and are then secured. 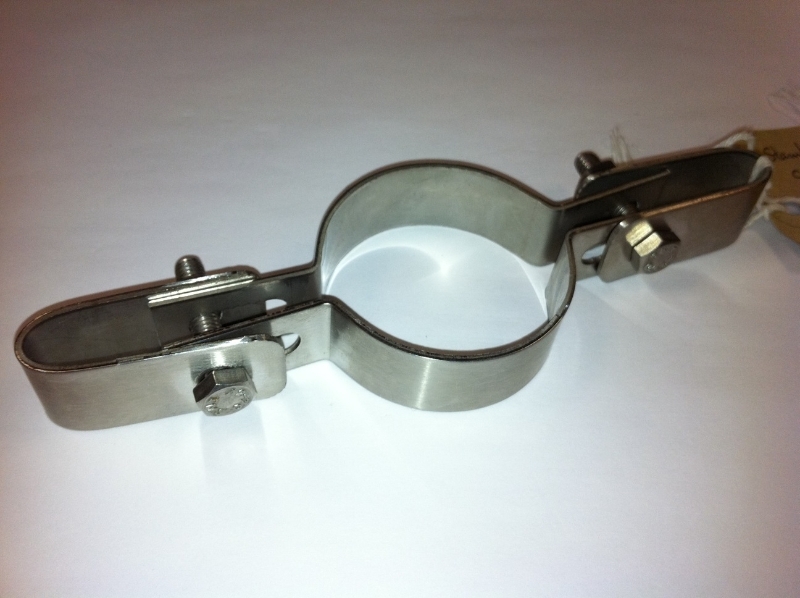 There are two options which are designed for 3mm wires and 6mm wires. 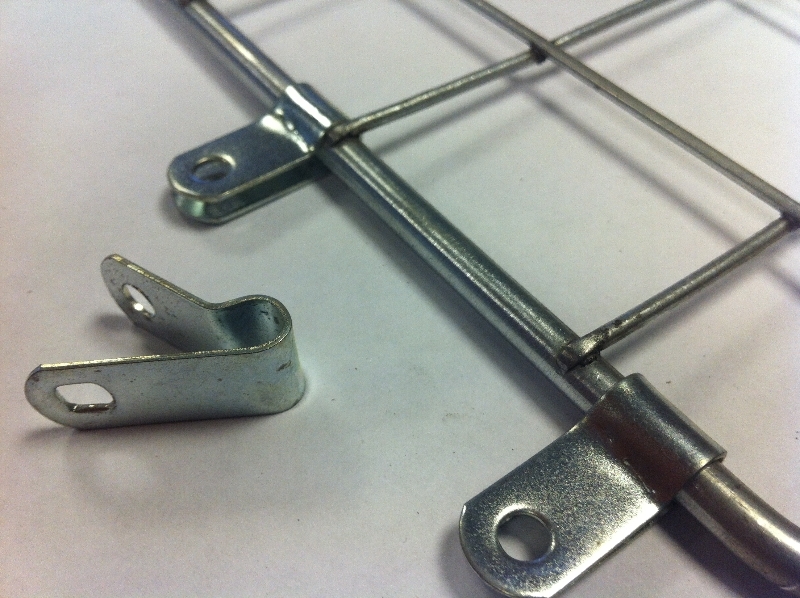 We stock the usual plastic cable-ties and can supply stainless steel cable ties to order. 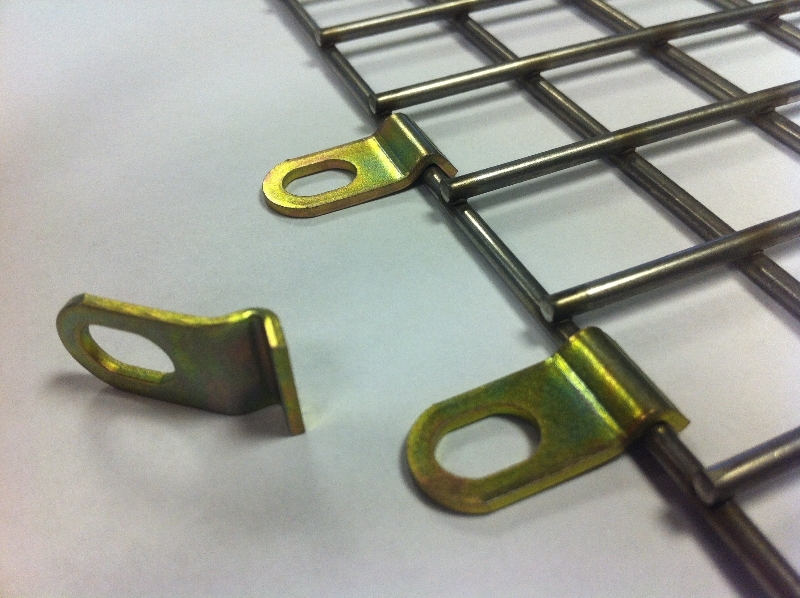 These are used to connect adjacent panels of mesh, or to connect mesh to straining wires. They are very tidy and are applied using a hand-tool resembling a pair of pliers.